Your booking is accepted subject to the following terms and conditions and by making a booking you accept that these terms & conditions will apply. Where a service or transport is paid or purchased by a credit card, the customer agrees to make full payment in accordance with these terms and conditions and in accordance with the policy of the credit card issuer. If the vehicle is damaged by the passengers the purchaser authorises A1 Prestige to charge the cost of cleaning or repairs to the vehicle to the credit card provided. A1 Prestige Group may without notice substitute a service or vehicle or means of transport or supplier without notice. A1 Prestige Group will not be responsible for any loss or failure due to Force Majeure (or unforeseeable event) or an Act of God (or an occurrence of natural causes) causing a delay or failure to fulfill a commitment or complete a booking or any effect to a booked service. A1 Prestige Group may without notice and in its sole discretion substitute a type of vehicle or means of transport if the original is not available at the time required, however every effort possible will be made to fulfill the contract as originally proposed. Unless otherwise stated in these Terms and Conditions and to the extent permitted by the law in Western Australia or the Commonwealth of Australia where applicable, A1 Prestige Group and its Operators or Contractors or Agents are not liable for loss or damage to luggage or goods or consequential loss of any kind or death or injury, directly or indirectly caused by negligence or omission or other cause associated in the provision or non-provision of any service or transport and no Agent or Contractor or Operator is liable for incorrect or inaccurate information regarding services or transport or any rates or prices. All Parties expressly agree and consent that these terms and conditions are governed and to be construed by the laws of Western Australia and the laws of the Commonwealth of Australia where applicable. A1 Prestige Group and their Contractors or Agents or Operators are not common carriers and may refuse to carry any person or their luggage or goods without giving a reason. All Deposits are non-refundable and where applicable must be paid within 7 days of making a booking. A1 Prestige is not liable in a situation of mechanical breakdown or vehicle component failure while on charter or hire, In the event that the vehicle is involved in an accident or experiences a mechanical failure, or is no longer safe to drive in the opinion of the driver or A1 Prestige Group the company will endeavour to make alternative arrangements to get the vehicle’s passengers to their destination. A1 Prestige Group may at its sole discretion determine the method and vehicle to continue the travel, alternatively the passengers may make alternative arrangements at their own cost, for which no claim can be made against A1 Prestige Group. 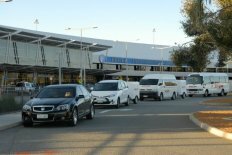 Perth Airport Corporation now charge a parking fee applicable to all Charter Vehicles picking up from the Airport, this charge is in addition to our charges and will appear on billing as parking, we are required to pay the parking fee before we can use the Airport parking facilities. All Payments are required at time of booking, Were possible credit cards will be processed within 24 hours of the booking being placed, NO payment will be taken in the vehicles. This will not apply to existing account customers. Visa and MasterCard 2% Fee, Amex and Dinners 4% Fee (This is to cover the charge the credit card providers charge us for accepting a credit card payment) for EFT please ask for banking details. 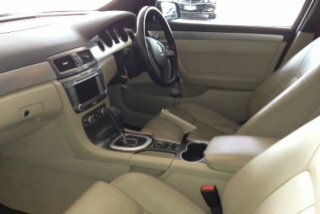 A flat rate of $150.00 +GST is charged for sedans or small Passenger Vans and $250 +GST for Stretch Limousine or Coaches in addition to the charter amount if the vehicle interior requires special cleaning after the charter for example if someone vomits on or in the vehicle or something is spilt inside the vehicle or the interior is soiled in any way during the charter. Consumption of alcohol is prohibited inside our coaches and buses this is law in Western Australia, anyone consuming alcohol on board will be asked to leave the vehicle and no money will be refunded in this circumstance. Please note this policy is strictly adhered to at all times. If the vehicle is damaged in anyway as a result of the passengers actions during a charter or hire the full cost of the repair will be the responsibility of the party who made the booking and the repairer or cleaner will be at the sole discretion of the vehicle owner. Please Note bookings between 2100hrs(900pm) and 0700hrs(700am) Weekdays and anytime on Saturday and Sunday will incur a 10% + GST Fee, bookings any Public Holidays will incur a 20% +GST Fee these are in addition to the usual rates charged, this will not apply to quoted rates that will include any charges. A1 Prestige Group reserves the right to charge a cancellation fee in an event that you cancel your booking or fail to make contact with your chauffeur or A1 Prestige Group. Sedans and Passenger Vans: No cancellation fee is charged for cancellations with more than 24 hours’ notice, less than 24 hours and more than 12 hours is 50% of the rates quoted and less than 12 hours is charged at the full rate quoted. Stretch Limousines and Coaches: No cancellation fee is charged for cancellations with more than 30 Days’ notice, less than 30 Days and more than 15 Days is 50% of the rates quoted and less than 15 Days is charged at the full rate quoted. Please Note: Cancellations must be emailed to the same email the original confirmation came from and will not be recognised unless the party making the cancellation is in receipt of an email from A1 Prestige Group acknowledging the cancellation otherwise the booking will be charged. Afterhours and on weekend’s cancellations must be emailed and phoned to our afterhours Operations number 0409815500. All intellectual property rights in this website including but not limited to logos, design, graphics, icons, text, the arrangement and selection thereof, all software and recordings relating to this website, belong to or are licensed by A1 Prestige Group Pty Ltd.
Any amendments to your booking after confirmation can only be accepted subject to availability. A1 Prestige Group reserves the right to charge an amendment fee in respect of any change to your booking in addition to any other applicable charges in relation to the amendment. 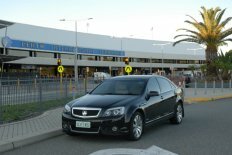 Outbound Transfers or passengers going to the Airport included waiting time is 15 minutes after which the charges are levied in addition to quoted rates at $22.00 incl. GST per 15 min increment or part thereof. Inbound Transfers or passengers arriving on domestic flights included waiting time is 30 min after which the charges are levied in addition to quoted rates at $22.00 incl. GST per 15 min increment or part thereof. Inbound Transfers or passengers arriving on International flights included waiting time is 45 min after which the charges are levied in addition to quoted rates at $22.00 incl. GST per 15 min increment or part thereof. A1 Prestige will make every reasonable effort possible to achieve and maintain an on time service however in the unlikely event a Chauffeur or Driver is late due to unforeseen circumstances for whatever reason, no liability will be accepted by A1Prestige Group. Food & Beverages are not to be consumed on any vehicle without prior approval. In such circumstances payment of a bond may be required to cover the risk of damage to the vehicle. Your responsibility for any damage is in accordance with these terms and conditions. Smoking is not permitted by law in any vehicle supplied by A1 Prestige Group. You are responsible for any charge levied in respect of any damage caused to a vehicle as a direct result of your booking. You will not be responsible for payment where damage was caused by the actions of any employee of A1 Prestige Group. In all case the driver of any vehicle will have the discretion to stop the vehicle and disembark those passengers engaging in unacceptable or unruly behaviour, no refund will be made.